Last month I wrote a piece about the way those who disagree with marriage equality disrespect holy scripture by quoting out of context, imposing homophobic prejudices onto bible verses and cherry-picking verses to create their case. It’s an almighty paradox I still find it difficult to navigate, that the very folk who claim to “love God’s Word” use their bibles in such disrespectful ways. Only yesterday in the church I attend the pastor who delivered the Message chose to lay hold of her well-worn copy of the scriptures and brandish it aloft while proclaiming that it’s a mighty weapon against the terrors of the secular world. Really? This might be news to the One pastors, priests and prophets eagerly dub the Prince of Peace, Jesus of Nazareth. This is the same Jesus who chose to face death without calling on legions of angels (Mt 26:53), who soundly told off the bloodthirsty disciples when they wanted to nuke the inhospitable Samaritans (Lk 9:51–56), who ordered the resheathing of a sword that severed the ear of one of the arresting party in Gethsamene (Mt 26:51f; Lk 22:50f; Simon Peter in John 18:10f). Where…does this weaponised gospel come from? Perhaps of greater moment is the resurrection appearance of Jesus. His disciples betrayed him in their different ways but when he returns to them it is not to seek vengeance, not even to give them a right carpeting. Instead, he simply greets them with, “Peace to you” (Jn 20:19). Where, one might ask, does this weaponised gospel come from? 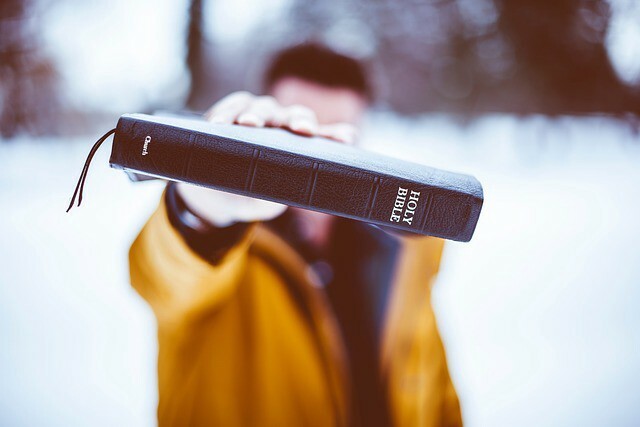 Disrespect for both Jesus and the scriptures that speak of him is evident in the martial language sermons, homilies, messages, evangelising talk and discussion carelessly — but gleefully — toss around. Some of the violent thinking no doubt comes from the gory descriptions for which the Book of Revelation is famous or infamous, depending on your point of view. The “bible-believing” mind has little time for talk of symbolism and the metaphorical. The Jesus found in Revelation is the Lion of Judah, powerful, fierce, a killing machine. 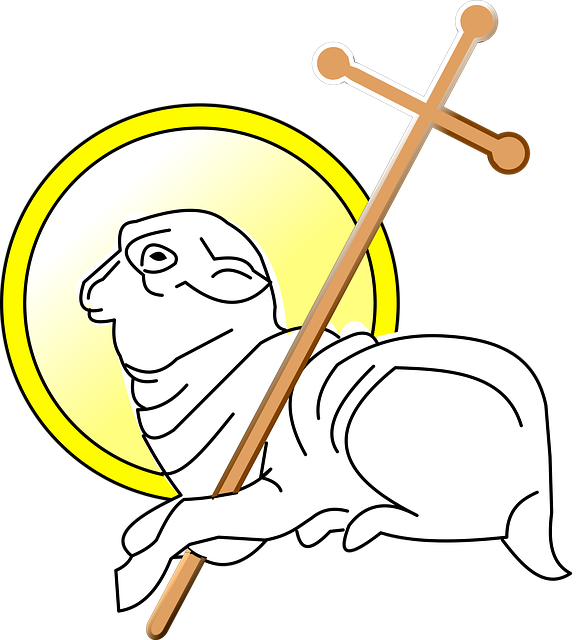 Never mind that the overwhelming metaphorical description of Jesus is not leonine but that of the wounded lamb —29 times, compared with one lion reference for Jesus. But isn’t this just wilful ignorance, taking biblical texts at face value and failing to do the hard work of reading in context, looking up words or reading around the text? Some of it is. And some of it is what the scholars call eisegesis, which means reading one’s presuppositions and prejudices into the text, a common trap for those who, for example, wish to denounce homosexuality, a concept that is wholly modern in understanding but quite foreign to the writers and compilers of holy scripture. The bible is a collection of books of different genres – poetry, songs, law, history, social comment, letters – and their authors, long-gone piles of dust – wrote on papyrus or parchment by hand, often in all-capitals and without breaks between each word. A number of these “categories” are not comparable with 20th and 21st Century models having the same names. For example, history in scripture is not the same creature you’d study at college or find on the shelves of your local library. You cannot – repeat cannot – read scripture with 20th and 21st Century eyes and minds. And yet the lovers of the bible treat this amazing collection of texts as if they were written and published last year or were no more than forty or fifty years old. When not carefully selecting verses, half-verses or quarter-verses, those who “believe in the bible” see it as the repository of answers to every conceivable issue or problem. The kind of magical thinking that runs … alongside … black-and-white acceptance does no honour to a book I and many others take seriously enough to wrestle with and pray through and work at understanding. I’m not saying that it is not possible to gain considerable insight or guidance from holy scripture. It definitely is – provided you do some hard work and deep thinking. But the kind of magical thinking that runs with gleeful breathlessness alongside its sibling, black-and-white acceptance, does no honour to a book I and many others take seriously enough to wrestle with and pray through and work at understanding. 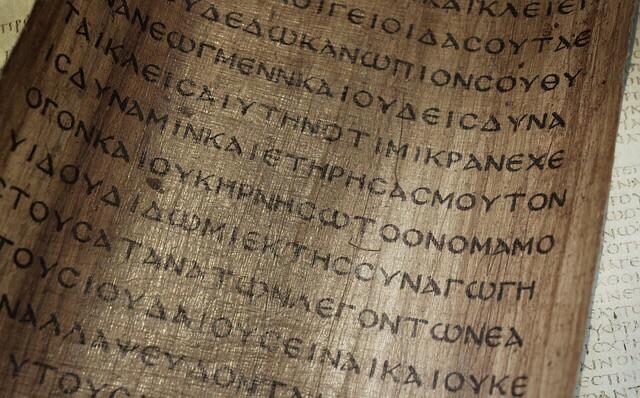 First, the phrase inspired by God is a single word in the Koine Greek: θεόπνευστος [Theopneustos], a neologism that occurs only in this letter and nowhere else either in scripture or antiquity. The translation God-breathed is reasonable and valid. Second, an equally valid and accurate translation of the initial phrase would be all scripture inspired by God or all God-breathed scripture. This is something of a leveller. It suggests that some scripture – by tradition referred to as “writings” – is not in fact “inspired” or “God-breathed”, which creates an immediate problem: how do you determine which writings are God-breathed and which are not? Third, the scripture referred to here is probably the Greek translation of what is commonly called the Old Testament. This huge volume is generally known as the Septuagint, from the tradition that 70 Jewish scholars in Alexandria, Egypt, each produced translations of the scriptures, each one exactly the same. In other words, these God-breathed writings do not include any of the books of the commonly-called New Testament. This ought to be a problem but, like the alternative translation of θεόπνευστος, it’s simply ignored, glossed over, never discussed. Fourth, it’s curious that whether all or some of scripture is inspired, the God-breathed material is useful for teaching, for reproof, for correction, and for training in righteousness. For something that is held to have such centrality, be of utmost importance and which many folk elevate to equality with God, “useful” is a surprisingly insipid word to use. Ignoring the real challenges we face in making meaning from ancient texts is hardly, I suggest, a – even the – way to honour these writings. In fact, I believe it’s actually thoroughly disrespectful. The ultimate outcome is a diminution of scripture, a dumbing-down that is at odds with the claims bible-believers make as they insist on fantasies that the bible is the basis upon which they live their lives. We’re all entitled to our conceits and little or great acts of self-deception but it becomes problematic when people who demonstrably do not live “bible-based” lives start instructing others how to live their lives. Why … is it acceptable to quote a small portion of the lawbook, Leviticus, yet ignore the rest of the verse? This is what we have seen in the anti-marriage equality debate in Australia, folk whose first words when putting their case are “the bible says”. Really? Does it? And so what? Why, I ask, is it acceptable to quote a small portion of the lawbook, Leviticus, yet ignore the rest of the verse? Why is it ok to condemn someone else for their lifestyle but ignore the God who says, I desire mercy, or the Jesus whose final words included, Father, forgive them for they don’t know what they’re doing? and who lived and breathed a life that actively eschewed violence and retribution? These things are not ok. Yet holy scripture is used to rationalise violence in behaviour and in speech, to the point of being a force for war, racism, sexism, domestic violence, homophobia. Is that how we show our respect for holy scripture? By weaponising the gospel and arming ourselves with bible verses while we demonstrate contempt for the very people Jesus bequeathed into our care, compassion and love? Somehow I think not. Somehow, I imagine, Jesus is weeping over this whole sorry mess. Thank you for reading this story! If you found it useful or even enjoyable, I’d love it if you considered clapping, liking or in some other way indicating your pleasure. Thank you! Priest, writer, counsellor. I post randomly but I'm practising being more disciplined.